A one-of-a-kind eastside neighborhood events space. Located just blocks from downtown, Fair Market is a unique community space housed in an iconic quonset hut-style building and surrounded by the vibrant character of East Austin. With versatile indoor and outdoor spaces, Fair Market is an ideal location for creative weddings, special events, weekend markets & more. 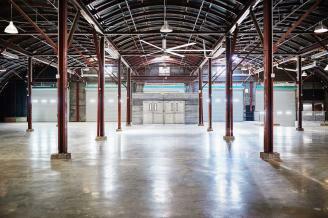 Interior space: 16,000 sq. ft. Exterior space: 15,500 sq. ft.
*Actual capacity may vary with event design.